The primary aspect of a restaurant should be comforting. The more comfortable your restaurant will be, the more customers you will get. And this is the main reason why the restaurants have started replacing their traditional restaurant table and chairs with sofas. Sofas are one of the most comfortable furniture available where one can sit for long hours without any discomfort. But with the wide variety of options available, finding the perfect sofa is a daunting task and also requires a great amount of effort. So, to make things easier for you, we have come with a guide that will help you to choose the best sofa for your restaurant. The most important aspect that you need to follow while choosing any furniture for your restaurant is the dining space of your restaurant. Measure the size of each sofa and then calculate how many sofas can be accommodated in that space while keeping a 22inch gap between sofa so that the customers and your staffs don’t face any inconvenience. There is a variety of sofa frame material available such as particle board, hardwood, Kiln Dried Hardwood, and metal frame. Each of these materials has a range of benefits. The better the cushion of your sofa will be, the higher the price will go. The low-density foam sofas are the cheapest, but they tend to wear down and to flatten out along with time. While the high-density foams sofas are bit expensive and are firmer than the low cushion sofas. And one of the most expensive sofas are the down cushions which are filled with feathers. But the down cushions sofas need to be refilled with new feather every other week and can be allergic to some people as well. The modern restaurant sofa has a firmer cushion along with angular lines. 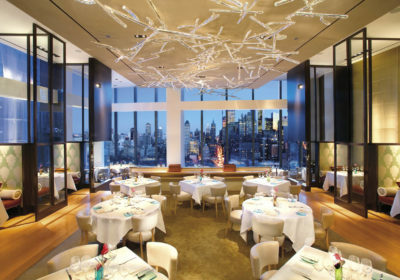 They are one of the best choices for giving your restaurant a chic look. If the theme of your restaurant is vintage than the traditional sofas is one of the best choices for your restaurant. They have an ornamented frame along with curved lines and are usually tufted. The contemporary sofas are a perfect balance between the traditional and the modern sofas. And this is the main reason why they are becoming one of the most favored choices among the restaurants. Being said about the variety of sofa, let us have a look at the top 5 sofas which are a must-have for your restaurant. A contemporary style of sofa that brings in the perfect balance of style and comfort in your restaurant, the Bergen corner sofa is a rising trend among the restaurant chain for its perfect style. Talking about comfort, it is hard to beat this comfortable range of sofa from Garda which comes with 11 types of leather and more than 70 varieties of fabrics. If you have a weakness for classics, then this is the perfect choice of the sofa for your restaurant that will give your restaurant a 70’s makeover. If you are planning a luxury restaurant, then this is the sofa that you need to get. It is practical and classic at the same time. You can avail a three-seater for the same by paying a few bucks extra. If you are planning to get a corporate style sofa for your restaurant, then this sofa from Art-deco can be a perfect choice. With super comfortable cushioning and a vintage design, this sofa is a notch higher than the rest.